As with every year, CMP Magazine asks a number of industry representatives with a broad range of backgrounds to join the Judges Panel for The Canadian Mortgage Awards. This year we are very proud to have a select group of individuals who are experts in their fields, with years of experience in the Finance, Real Estate, Insurance, Marketing and Mortgage industries. We are extremely excited to introduce our strong and diverse panel of judges, whose selections will, once again, be audited by Pricewaterhouse Coopers. 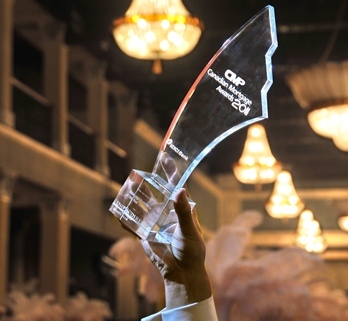 Their expertise allows us to continue to present the most prestigious awards show in the Canadian mortgage industry, and to recognize the best and brightest in the industry. Chuck Grace is a veteran of the Canadian financial services industry, with over 30 years of experience. He has held a progression of senior positions with some of Canada’s largest insurance and wealth management fund companies. As the COO of Quadrus Investment Services, Chuck and his team were responsible for growing the firm from its inception into one of the largest mutual fund dealers in Canada. Chuck currently provides strategic consulting advice to companies competing in Canada’s wealth management industry through his firm Fusion Consulting. In addition, he is a member of the finance faculty at the Richard Ivey School of Business where he teaches Portfolio Management and Wealth Management. Chuck chairs Ivey's advisory council for Household Finance research. John Andrew has been Director of Queen’s University’s Executive Seminars on Corporate and Investment Real Estate since its creation in 2004. In 2012, he established the Queen’s Real Estate Roundtable (the “Q25”), a new and growing industry organization focused on executive development and applied research. Since 2000 he has also been a professor in the Queen’s School of Urban and Regional Planning (SURP), where he teaches commercial real estate courses to graduate students. He has also taught real estate management in the Queen’s School of Business since 2009. John consults to the commercial real estate sector, primarily on strategic planning, financial analysis, environmental issues and conflict resolution; and has served as an expert witness in real estate commercial litigation. He is a frequent speaker and national media commentator on a broad range of real estate issues. Yousry Bissada is President and CEO of Kanetix Ltd. Prior to joining Kanetix in September 2011, Yousry served as Chairman at both Canadiana Financial Corp and Paradigm Quest Inc.. Yousry’s time as Chairman was preceded by his role as Director at the Board of Street Capital Financial Corporation. He continues to serve on the Advisory Board of Solidifi. Yousry joined Filogix in June of 2000 and was President and CEO until 2007 and prior to this role, served as Senior Vice-President, Real Estate Secured Lending Products at TD Canada Trust. Yousry has also held a number of Vice-President roles; at Canada Trust, CIBC, and FirstLine Trust Company. Aldo Cundari, Chairman & CEO of Cundari Group Ltd. is joining us for a second year, and is tasked with judging only our “design” categories; Best Branding, Best Advertising and Best Internet Presence. Aldo launched Cundari Group Ltd in 1980 and today it has become one of Canada’s largest independent integrated communications companies. Aldo has served as chief judge of the World Globe Awards since 2000, and in 1998, was included in Marketing Magazine’s “Power List: The 100 Most Influential People in Canadian Communications.” In 2006, Aldo became a Fellow of the Quantum Shift program at the Ivey Institute for Entrepreneurs. In 2008 and 2009, he was selected as one of Ernst & Young’s Entrepreneurs of the Year. And in 2010 was appointed to the Canadian Marketing Association board of directors. For complete information on the upcoming Canadian Mortgage Awards, including how to book a table or sponsor an award, visit the CMA website.